Allround VP hoppers are designed to feed machines or product lines, or act as a buffer in a processing line. The hopper is designed to work with cubic boxes and big-bags. Because of the angle of the machine, the flow of product will always be even. Furthermore, a frequency inverter is fitted to the machine, to make sure the flow of product is always adjustable. 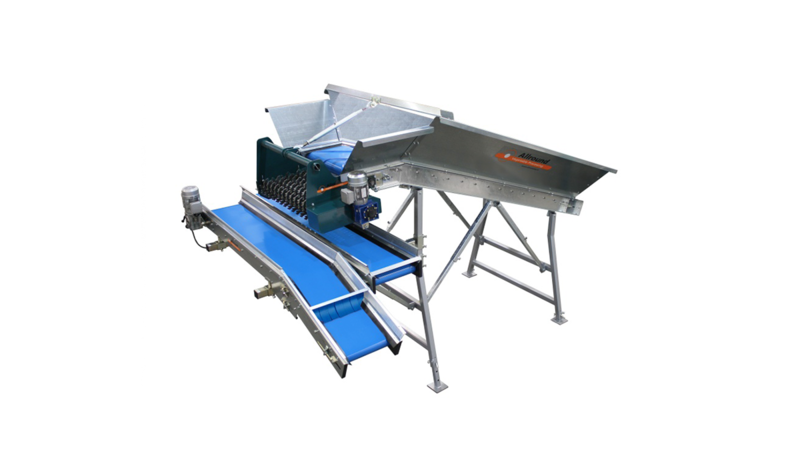 The machine is extremely produce friendly, and the speed of the machine is adjustable. The machine can be fitted with wheels, to make transportation of the machine easier. The machine can be fitted with higher sidewalks, to increase the content of the machine.